The team here at Megatron Print knows that a web design is no longer constricted to the desktop. It is a multi-device application that extends to tell a message, portray a brand and connect to the consumer. The strength of our designs lies in the culmination of research, communication, digital design, development and flawless execution. 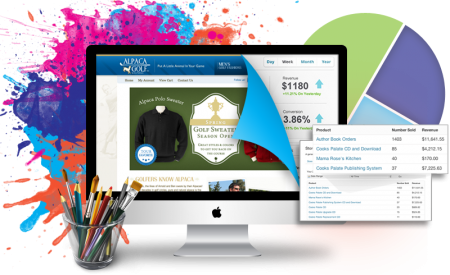 Below you will find a variety of packages and features we can create for your website along with the pricing. Every project is unique with its own requirements so please don't hesitate to contact us with the exact details of your project for additional information and price quote. • A website created using our standard layout customized with your information and images. This is not a template - your site will look just as you want it to and can be customized to meet your needs. Our standard package includes up to ten pages including your home page. Additional pages can be added at any time. • We will work with you to create a site banner and find images for your site. If you have photos or images already we will optimize those images for your website. • Need a domain registered or hosting setup? We will guide you in setting up an account on Godaddy, registering a domain and setting up your hosting. Click here for more information. • Basic Search Engine Optimization. We will optimize your pages with keywords and submit your site to the major search engines (Google, Yahoo, Bing). If you have a physical location we will add your site to Google maps. Click here for more information on good and bad search engine optimization practices. 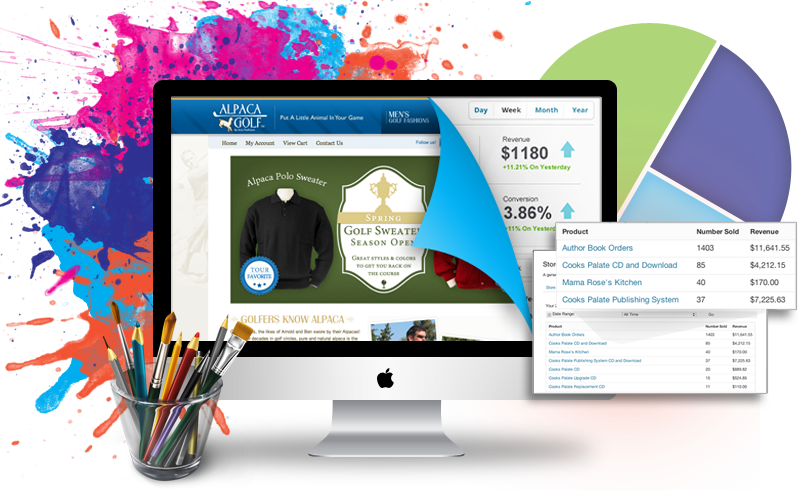 If you are looking to setup an online store to sell your products and services we have the tools and experience you need. from simple online stores selling a few items to large scale stores selling thousands of products, we can find a solution that fits your current needs and allows to future growth and expansion. We prefer to work with Godaddy as your web hosting solution for ZenCart, but can work with other web hosts if you have an existing website. Keeping your website healthy and secure should be a top priority. We can help you register your domain name and setup web hosting services correctly and manage your site's security. Once you publish your site the work is often just beginning. Adding new content, improving and updating existing content, managing your domain and hosting, resubmitting your changes to search engines and managing your online social media (Facebook, Twitter etc) can be a full time job for some busy sites. I can help out with that problem.